AquaMag is a unique magazine WordPress theme from Theme-Junkie. Perfect for blog, online magazine, news, or other content showcase sites. 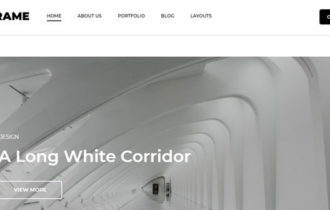 It has clean and minimal layout that attracts users with it’s featured images appearance. Beautiful slideshow on frontpage to display your content, and featured posts with images. AquaMag WordPress Theme comes with fully responsive design, it look amazing on all devices. In the header of theme you can display category of page, social media icons, logos, navigation menu and custom search bar. Theme has categorized homepage layout. you can show various categories, latest and recent post. 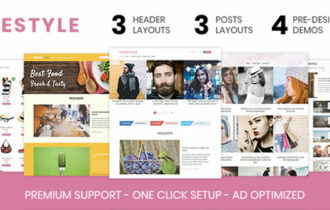 Theme allow you to place various widgets like breaking news, flickr gallery, ad banners, newsletters in sidebar. AquaMag support 10 custom widgets like accordions, ad widget, feedburner, posts thumbnails, popular posts, random posts, recent posts, and more. It also integrate with most popular plugins like Jetpack, bbPress, Ninja Forms, WordPress SEO and Contact Form 7. 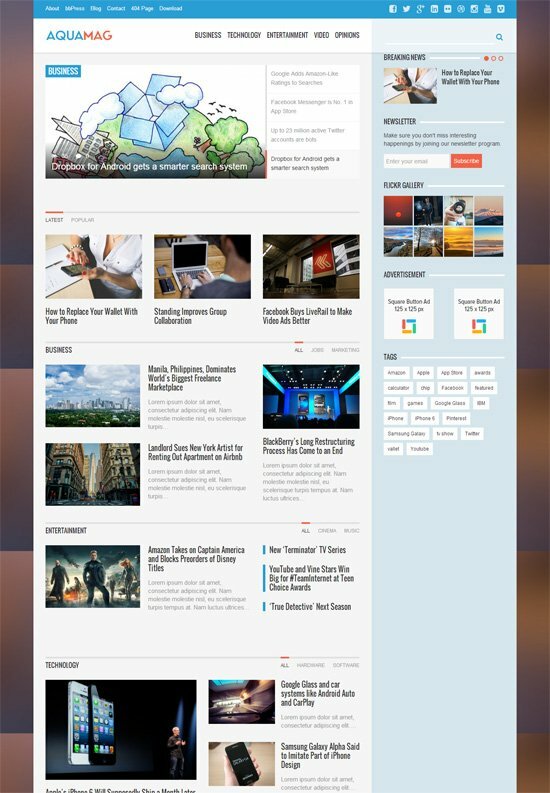 AquaMag WordPress Theme has advance control panel for customize your theme. 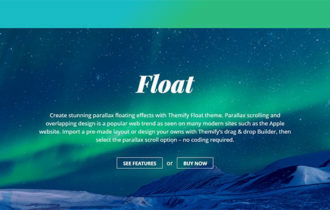 Using it you can easily modify theme color, style, fonts, links, logo etc. Theme include useful custom page templates for archives, full width, blog, 404 page and more. It support all type of post format such as audio, video, gallery, image, link etc. Popular plugins – Jetpack, bbPress, Contact Form 7 etc.